The American Association of Dental Office Managers (AADOM) conference is only a few short weeks away. For the second year, I’ll be attending with the Patterson Dental crew and am excited to attend another AADOM Conference, meet our Patterson scholarship winners, and visit the Music City: Nashville, Tennessee. I’m not sure about you, but when I travel to attend a conference, I like to go in with a plan of action, and this conference is no exception. As you make your plans for the AADOM conference, keep these sessions, events, and excursions in mind! Okay okay, so this is something of a shameless plug, but I’m really excited about this compliance panel discussion. We’ve pulled together two brilliant minds, Linda Harvey and Julia MacGregor, to talk about common misconceptions about OSHA and HIPAA compliance and clear up some of those murky topics. We’re also giving you the chance to ask about OSHA and HIPAA during the last part of the session, so come with questions! 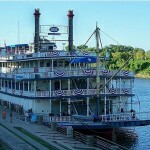 The General Jackson paddle wheel riverboat is bound to be a good time. 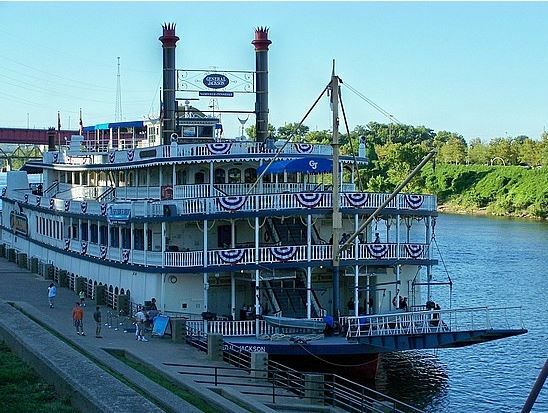 We’ll be heading down the Cumberland River for a 4-hour cruise that will have line dancing, beautiful scenery, and the company of many of your fellow AADOM members. If you don’t have your ticket yet, don’t worry! You can still buy one up at the AADOM conference from the registration table, and you can buy tickets for guests who aren’t attending the AADOM conference, too. How could you visit the city of music without checking out the iconic Grand Ole Opry? 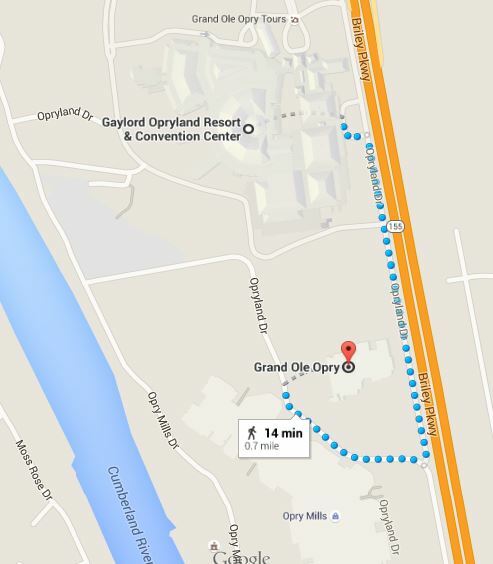 And, if you’re like me and staying in the Gaylord Opryland Hotel where the AADOM conference is being held, it’s literally right next door. No really, you can walk there in 14 minutes according to Google Maps. If you can’t check out a show, then be sure to check out their backstage tours. Every year, AADOM accepts nominations for their annual Office Manager of the Year award. In 2014, it was Lisa Marie Spradly (a.k.a. the Front Desk Lady), a frequent Off The Cusp contributor. We’re looking forward to the 2015 announcement – good luck to all of the nominees! Looking forward to see you there Tara! AADOM is always blast!! I can’t wait to meet you Tara!